NEW DELHI, MARCH 7: CFA Institute invites applications for its Young Women in Investment initiative. The 2019 program is for 100 selected eligible women from any educational discipline and offers them an opportunity to be part of a boot camp followed by an industry internship. The four weeks intensive boot camp includes free room, board, and classroom sessions on core finance and business skills. Each participant in the boot camp—in Bengaluru and Mumbai—will be offered a stipend paying internship for a period of three to six months at a reputed financial institution in India. “Our Young Women in Investment initiative has been a remarkable success. From the 2018 class, many of the young women, hailing from diverse backgrounds such as engineering, arts, sciences, commerce, etc., decided to pursue a career in finance and received full-time job offers. The success of last year’s program has led us to double of the number of participants to 100 this year. And 20 financial institutions have signed up to provide stipend paying internships. 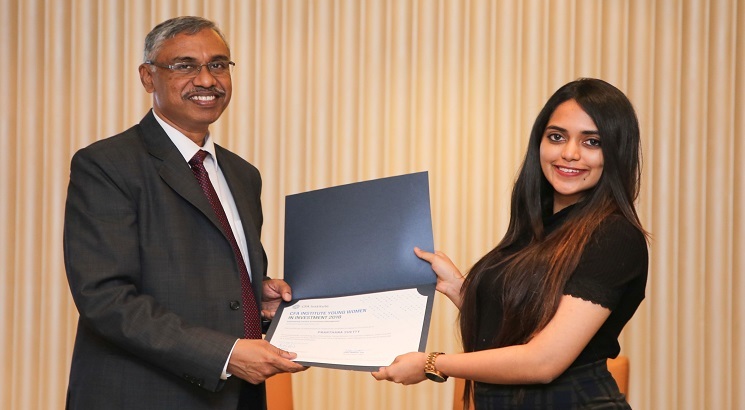 This is a tremendous opportunity for young women who want to gain a foothold in the finance industry and I’d encourage eligible women from all educational disciplines to apply,” said Vidhu Shekhar, CFA, country head, India, CFA Institute. Launched in 2018, ‘Young Women in Investment’ is an initiative to create awareness about, instill interest in, and enable women to view the investment management industry as a viable long-term career option. It is also an attempt to empower young women, looking to start a career, better understand the current flexibility within the industry and to address traditional concerns that the finance industry disproportionately rewards those that work long and inflexible hours. This is a part of the CFA Institute Women in Investment Management initiative to improve investor outcomes by encouraging gender diversity in the investment management profession. The program is open to women only, who are minimum final year undergraduate students in any educational discipline, and Indian citizens. Applications will be accepted until 100 applicants are offered a place on the program or 31 March 2019, whichever is earlier.